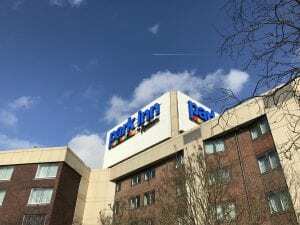 There are lots of London Heathrow Hotels airport hotels but The Park Inn Heathrow is one of the few focused on the family and making sure all of you have the chance to rest, relax and get into that holiday spirit. It might be the chance to spend some time by the pool whilst the kids let off some steam, or maybe its a chance to steam yourself in the Whirlpool or Sauna, or maybe its cheap hotels Heathrow that you are looking for. Perhaps its a relax over Costa Coffee or a treatment at the ki Spa. Whatever takes your fancy the Park Inn Heathrow offer the chance for all the family to wind down and relax into the holiday spirit. The RBG Bar and Grill offers Signature Burgers, Steaks, Pasta and Salad with kids under 8 eating under free from their own menu. 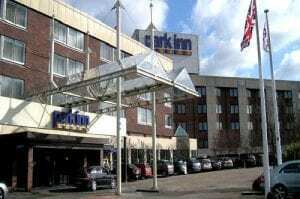 Conveniently located just off the M4 and very close to Heathrow Terminal 5 the Park Inn is a firm family favourite. To Park and Fly or to Park, Sleep and Fly? Travailing today can be tiring and at times stressful, and whilst much of that is beyond the control of the traveller there are some bits we can make a little easier. Getting to the airport can be one of those stressful moments especially if time is tight. If travelling by car then making sure you know where your car parking is and you know the process when you arrive is very helpful. As is knowing you have booked parking that is quick and convenient for your terminal. Through the booking process on youparkandfly you will find detailed instructions and videos on how individual car parks work. If you have more time, or if you are travelling early in the morning then the question is do you park and fly or do you park, sleep and fly? If you are paying to park then getting a deal for a hotel the night before with parking included can often be the same price. And with that you have the security of knowing you have arrived at the airport with time to relax before the rigours of air travel the following day. Heathrow, Gatwick, Manchester all offer great park and fly options with good deals in hotels of every style, price and quality. Additionally, look out for Mystery Hotels offering the very best park and fly deals. 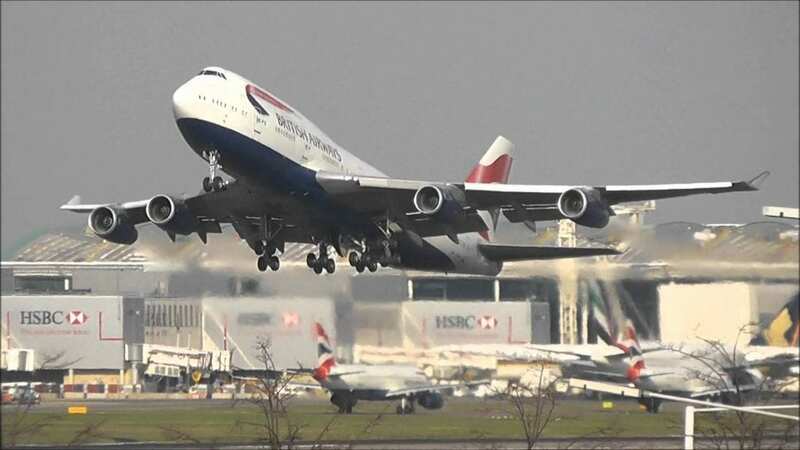 Continuing its centenary celebrations British Airways 747 City of Swansea G-BNLY landed at London Heathrow Airport sporting the historic Landor livery. The design adorned British Airways planes between 1984-1997 and features the To Fly. To Serve moto, a stylised Union Flag and the airlines’ centenary logo. The aircraft was repainted in Dublin and will continue to fly various long haul routes in these colours until its retirement in 2023. 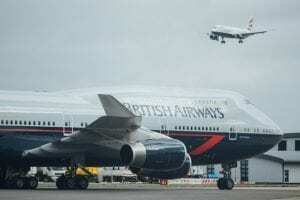 British Airways already has another 747 flying in the British Overseas Airways Corporate (BOAC) scheme and will complete the trio with a British European Airways (BEA) painted Airbus A319. APH Gatwick Airport Parking – as good as it gets! Arriving at APH Parking you are directed to the car drop off area, unpack your cases and make your way to the reception building. Be sure to check around the car before you leave, it might be nice to be away from the phone on your holidays but! The reception area has three desks with friendly helpful staff who in a few moments, from your name and booking details will have you on your way. You leave your car key with APH Parking so they can move your car from the drop off area and then have it ready for you again on your return. 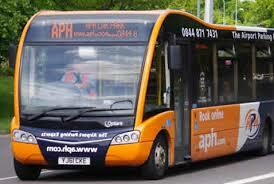 The courtesy shuttle bus from APH Parking to Gatwick Airport is waiting for you right outside the reception area. There are lots of busses, don’t be concerned about queues waiting for a seat. The buses run every fifteen minutes and take around fifteen minutes stopping at Gatwick South Terminal and then the North. On your way home the same bus is used to return to APH Parking for car collection. For the ultimate in arrival convenience APH Parking offer a valet service where you will be met at departures by one of their representatives who will park your car for you, returning it to arrivals suit your inbound flight. APH Parking is a quick efficient service where customer care is foremost, valet park or shuttle bus both offer a good value and secure way to park your car at Gatwick Airport. With 8321 rooms between then, the 28 Heathrow Airport Hotels offer the full range of budget, size and amenities, and amount to the biggest concentration of hotels rooms outside of a city centre. The easyHotel scores a double at both the cheapest and with just 74 rooms the smallest, whilst The Park Inn with a whopping 895 rooms is the largest. If however you are looking for the ultimate in luxury there is only one five star hotel, the opulent Sofitel at Heathrow Terminal 5. Early morning breakfast, evening dinner, lunch, drinks or a snack in between is no problem, the world’s cuisine is available to you. Full English or continental buffet breakfasts are served at the majority of hotels with special booking packages often available to our customers. Families are well catered for from trusted favourites at the Premier Inn to the fantastic all inclusive evening buffet served at Bravo Bravo in The Park Inn. Consistently our most popular Gatwick hotel, the Sofitel at Gatwick Airport is all about peacefulness, affordable luxury and ease of access. Situated right next to the North Terminal and with fantastic links to the M23 you can quite literally step from your car to the hotel to the departure lounge. 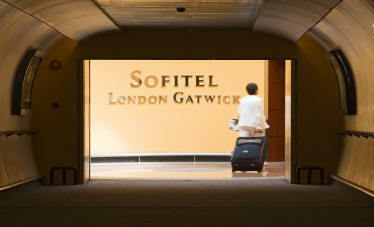 Built around a central atrium the chic 4 star Sofitel London Gatwick features 518 modern rooms and suites all with a luxurious ‘MyBed’ for that fantastic nights sleep. Rooms are reached by glass fronted elevators rising from the lobby with fantastic views of the restaurants, bars and other public areas. Away from the bedrooms there are three lovely restaurants, award winning French cuisine at La Brasserie, a taste of Asia at the Gatwick Oriental or the tastes of a Parisian Street at Le Cafe. Cocktails and other drinks are available at the Kula Bar or for some quiet time the comfy intimate seating at La Terrasse is fantastic.